Dark Delight, a new connoisseur variety for 2012. Rich, exotic and deeply satisfying. I would really love to see these in regular. Smoke report for the Dark Delight. The Dark Delights definitely benefit from a cure, they have been cured for 3 weeks and are getting better by the day now. The smell is pine/lemon, think flash floor cleaner but slightly sweeter. I normally smoke either joints or use my OG bubbler and enjoy the smooth, clear and refreshing taste. She's a creeper, after I finish my smoke, my grin gets wider and wider slowly but surely. Me and my mate had a smoke of it last night and we both got the giggles, the first time any weed has done that for ages. Smoked in company, it's a very sociable, but relaxing high. When smoked on your own it seems to enable you open up your mind enough to soak in your ambient surroundings, relax and let you forget about your aches and pains without being too narcotic and rendering you useless from a hard day at work. I just had to wander to the shop for some milk for the essential copious amount of tea I'll be drinking and although I was aware I looked battered I didn't care, I was thinking, "Yeah I'm stoned but look how happy I am, maybe you should try some!". In conclusion, easy and forgiving to grow, short in stature when topped and a good yielder. Highly recommended. Una variedad muy recomendable, gran producción con unas ramas fuertes que soportan el gran peso de los cogollos, 8 plantas en interior producen 500g, el hachís es excelente y de gran potencia sabor autentico de los 80. 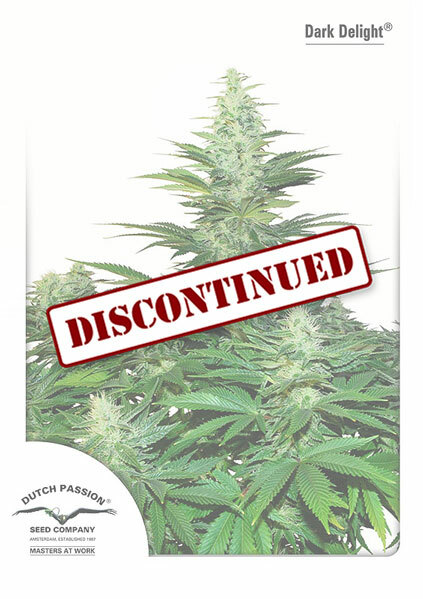 A devastating strain that is sure to be a best seller for Dutch Passion. Supreme quality home grown cannabis is rarely better than this. Get some. 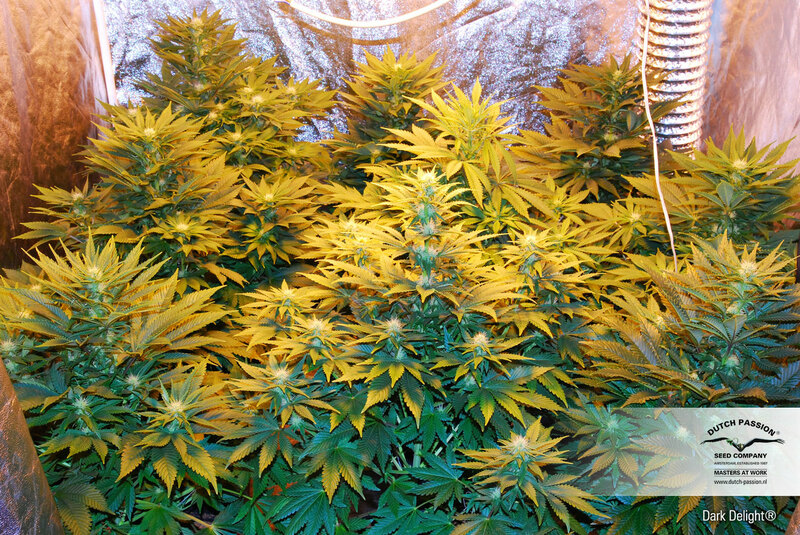 I have grown Dutch Passion seeds ever since they came out with feminized seeds. Apart from the outdoor varieties I have grown them all, and I am satisfied with their quality. BUT I must say Dark Delight could be the best of them. The guy at my local headshop said this was his best seller so I got some. BANG ! This is just the most delicious and desirable weed you could want. 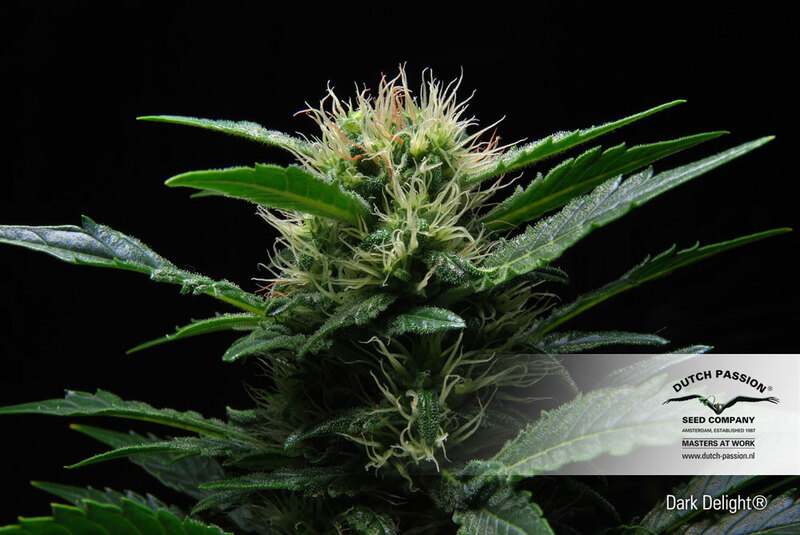 The yields were above average but it is the weed quality that you just cant beat! The smoke is hashy, quite deep and very rich. At the beginning I didnt realise how strong this stuff is, now I roll my joints with half the amount of weed and it is about right. I agree with the other guy that said it is a smelly variety in flower, but then again all good weed stinks so don't let that put you off. so i give it 100%, full marks. I also recommend to Dutch Passion to use this as a variety to hybridise with in the future. WOW! I don't know how Dutch Passion kept quiet about this one. Dark Delight is possibly their strongest variety, it's right up there with White Widow and Blueberry. This is extreme strong weed, easy to grow and good yields. But the key point is that this is STRONG and I mean strong, I bought seeds early in 2012 and grew Dark Delight in hydro. She was easy to grow and looked after herself. I cropped her at 9 weeks. One thing you should know is that Dark Delight has a very strong odour, you MUST take care to control the smell or you will have issues. Even a small bud in a bag will make your house smell ! It is that strong. This is one of those ones that you cant finish a full joint of, at least I can't. For me this is the surprise package from Dutch Passion, I will be growing this again and again. Maybe their best variety ever.